Have you ever mixed glue and black paint? 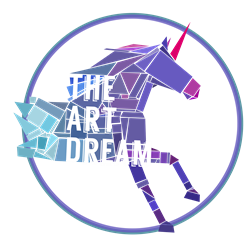 It is such a great way to make a painting. 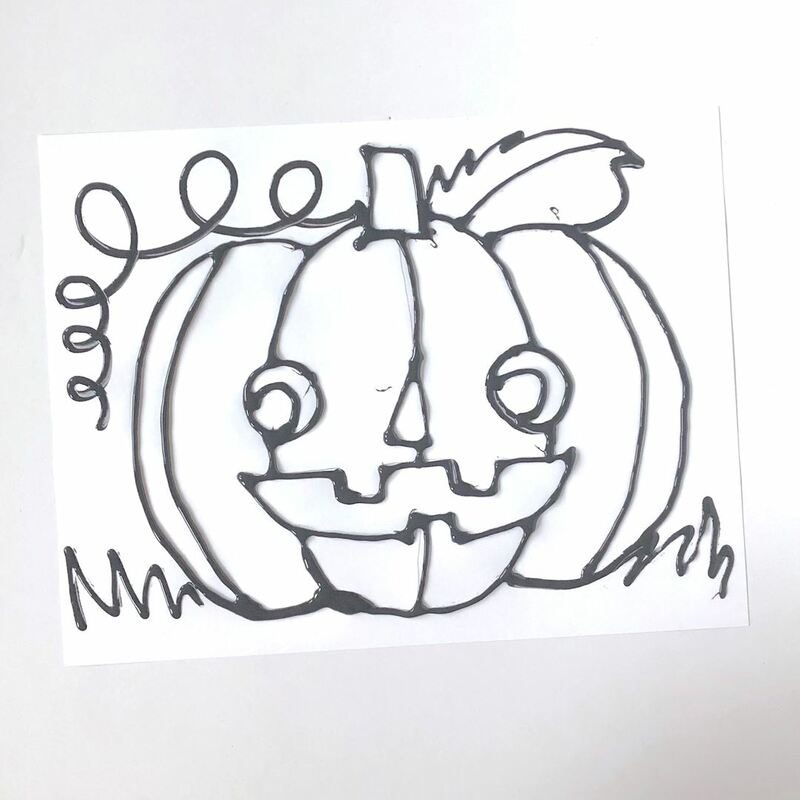 Just mix and outline a drawing to create a fantastic piece of artwork! 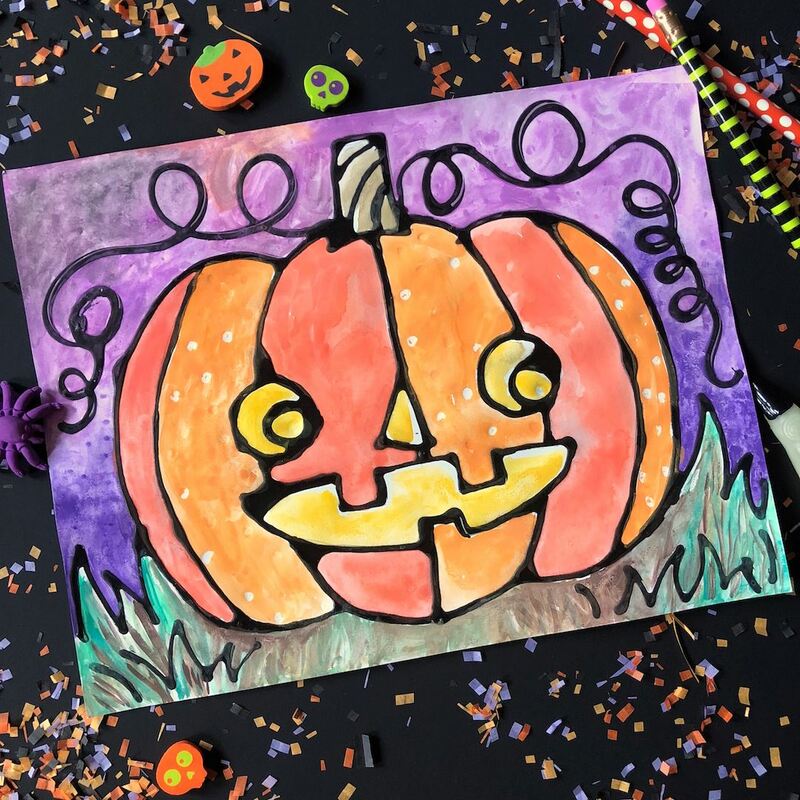 Paint a heckling jack-o-lantern for Halloween using watercolor paints and a white crayon, kids and adults of all ages will love making art this way! 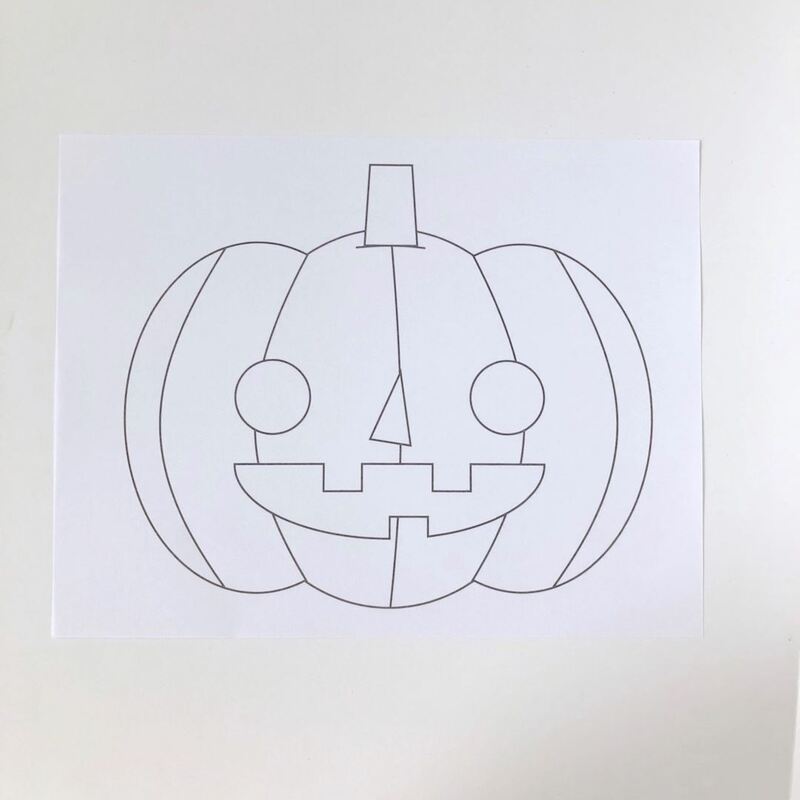 Print out the designs you'd like, there's a pumpkin, skeleton, witch and Dracula! 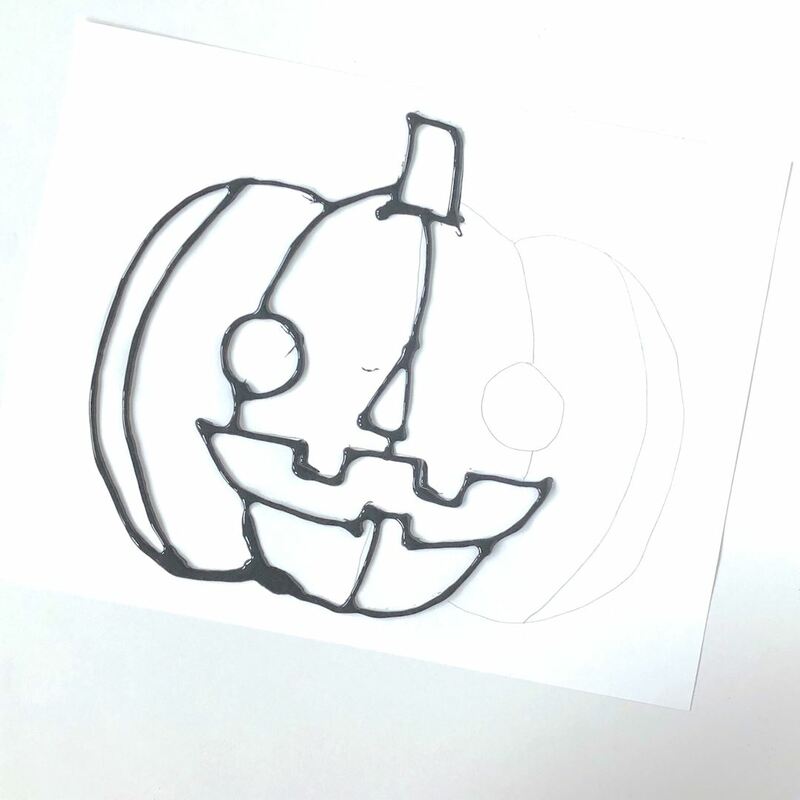 Trace the template onto white cardstock paper or watercolor paper with a pencil. 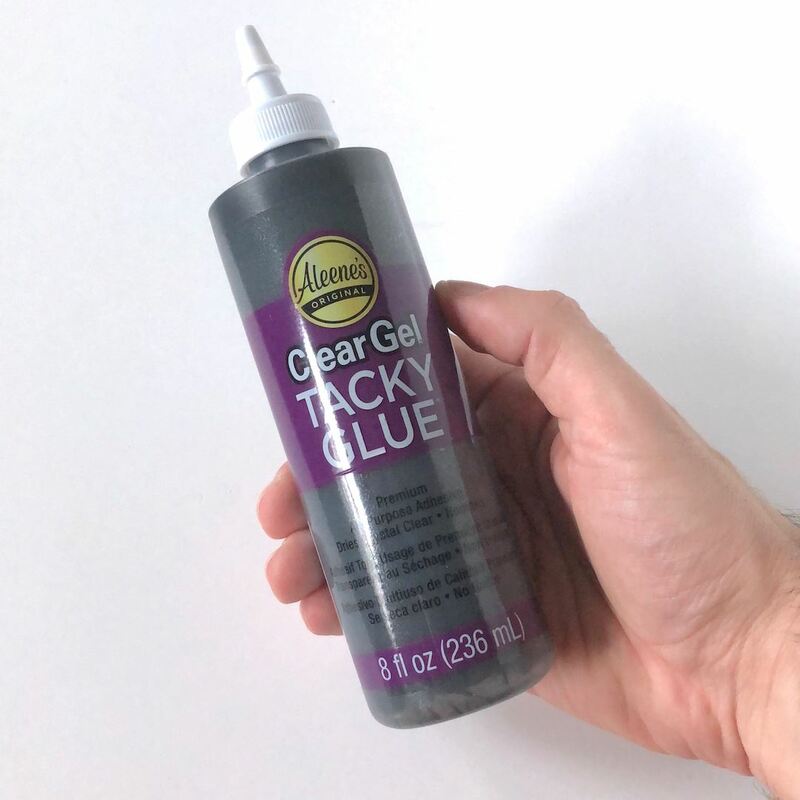 Generously add black paint to a small bottle of tacky glue, shake and stir really well. 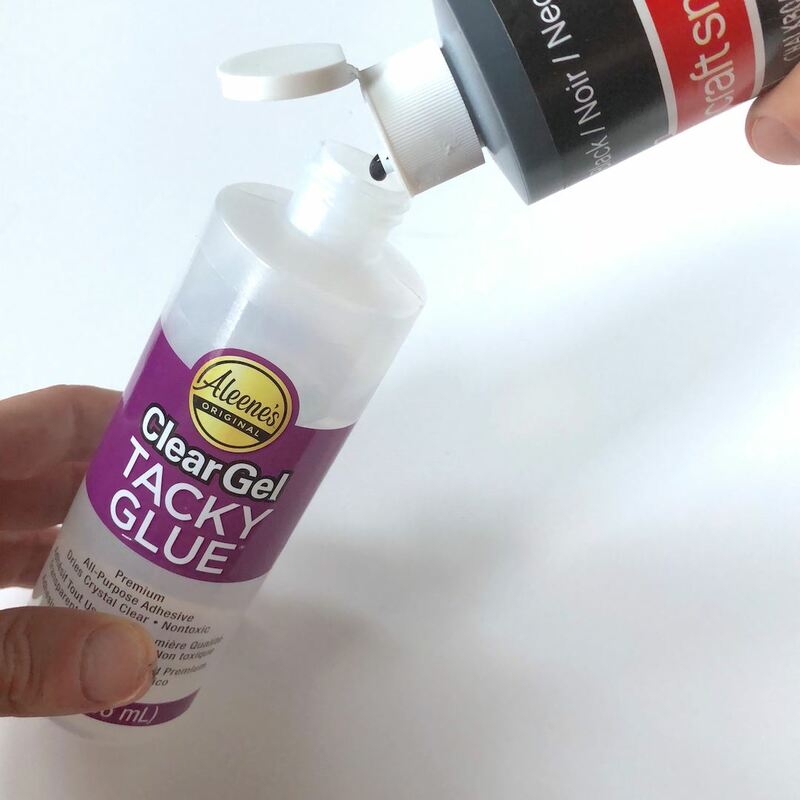 Your glue bottle will look like this and you're ready for tracing. Trace the outline with the black glue, it's ok if it gets a little messy or if the lines aren't perfect. Be sure to add your own details, like a foreground and a background. Let the glue dry really well. 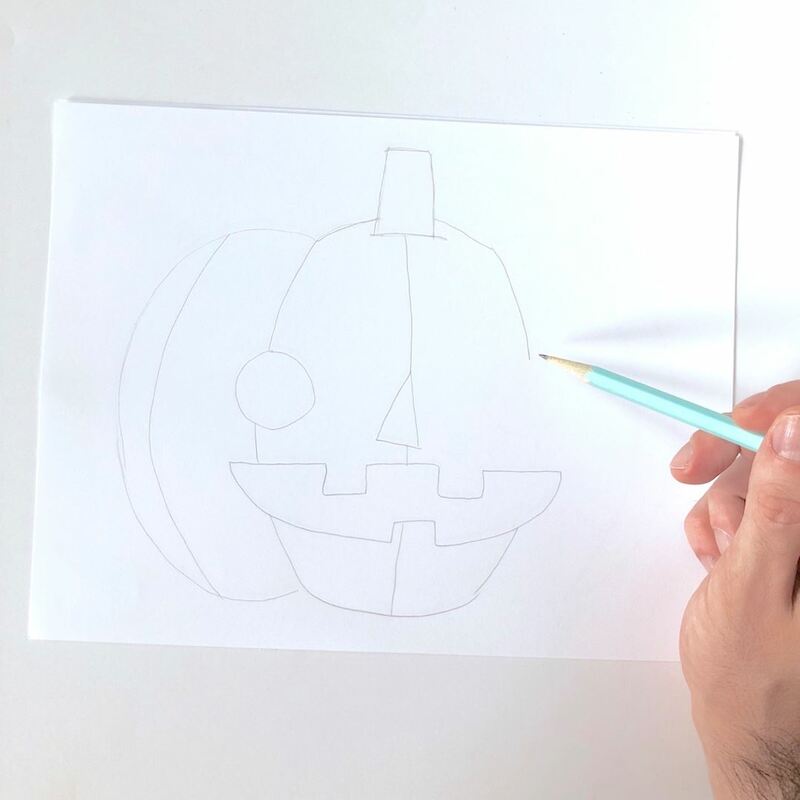 You can use a white crayon to draw on some patterns or details, once you apply paint, the white crayon will repel the watery mixture leaving the white crayon design visible... give it a try and have fun!